We first were introduced to Kaenon sunglasses several years ago, by Paul Shuey, then a pitcher for the Los Angeles Dodgers. Shuey is also an ardent angler (hence, the meeting), and he was amped by Kaenon’s focus on function, on the water and on the field. We’ve been wearing Kaenon styles ever since, and have yet to be disappointed by the comfort factor, as well as how different lens tints make fish “pop” in various sight-casting environs. 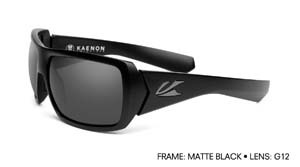 All Kaenons are made with a special lens material the company calls SR-92, which is impact resistant, and very clear. Among out favorite fishing styles are the Hard Kore model (building on the brand’s already popular Kore variety). The fresh design is lightweight, incredibly durable, and intuitively integrates with the natural form of the wearer’s head shape while accommodating different facial features. MSRP is $214 to $224. Clean, with intelligent details, Kaenon’s Trade is accented by angular lines and maximum eye coverage in an extremely comfortable fit, making this addition to their men’s Lifestyle Performance line an ideal blend of performance both on and off the water. While large in look, the Trade fits a broad range of face shapes and head sizes due to Kaenon’s 8 base wrapped frame geometry. The tall and boxy design enjoys angular lines and ergonomically engineered load-spreading temple tips, while fusing Kaenon’s hallmark California design-sense and functionality. Variflex nose pads anchor the frame securely, offering a slip-free experience so the frame remains comfortably in place in all situations. MSRP is $199 to $209. 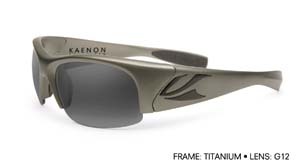 The Rhino is wrapped and raked to provide all the protection, performance, and lightweight comfort of Kaenon’s award-winning sunglass frame, Kore. This full-frame, boxy shape exhibits subtle surface design features that allow it to be worn on the street and/or during vigorous sporting activities. MSRP is $194 to $204. 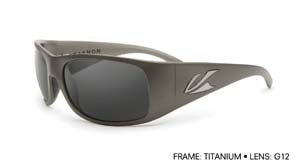 Kaenon’s Jetty embodies their Luxury Performance design and engineering mantra. The Jetty is built to perform for the consumer with an active lifestyle, but this unisex frame is equally at home during everyday wearing. With tall temples and a rectangular shape, the Jetty’s clean and smooth surface design is finished with the Kaenon jewel icon that marks the authenticity of a Kaenon Polarized original design. MSRP is $214 to $224. Click here to find a Kaenon Polarized dealer near you. More mentions of Kaenon on MidCurrent.